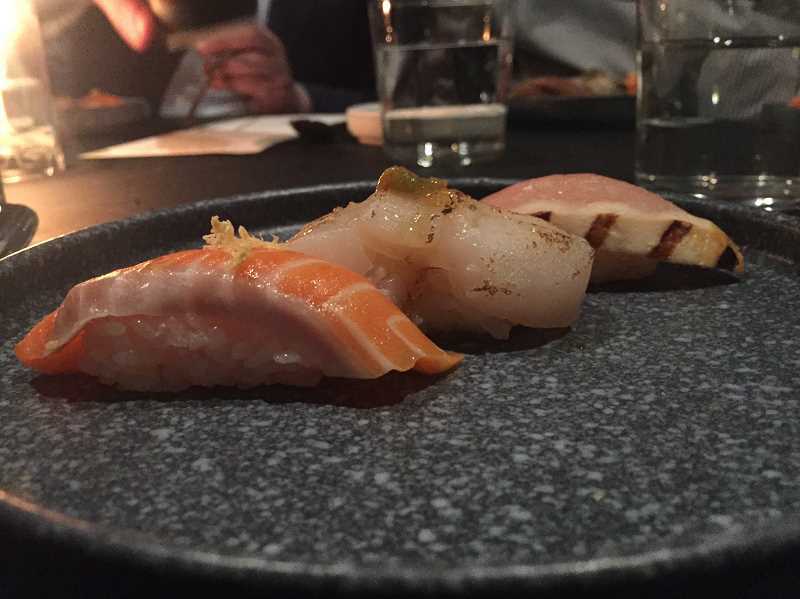 Does a plate of sushi served with a healthy side of sustainability sound lip-smacking good? And wouldn't you like to savor the feeling of knowing your meal was carbon-neutral? You can enjoy all of that and more at Bamboo Sushi, the latest restaurant to open at The Windward in downtown Lake Oswego. City leaders and community members gathered for an invitation-only preview on Monday, and the doors officially opened to the public Wednesday night. 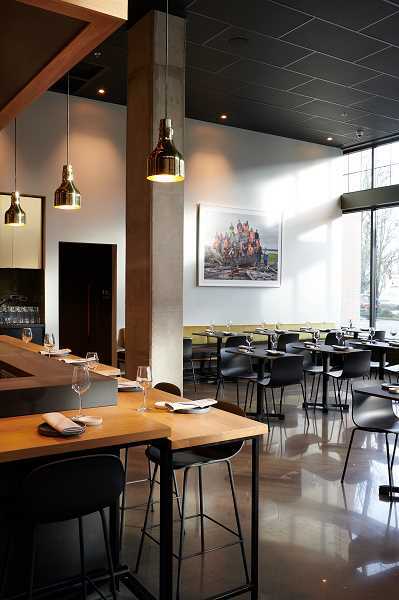 The opening coincides with Portland-based Sustainable Restaurant Group's 10th anniversary; it's the company's fifth restuarant in the Portland metro area, with a sixth now open in Denver. 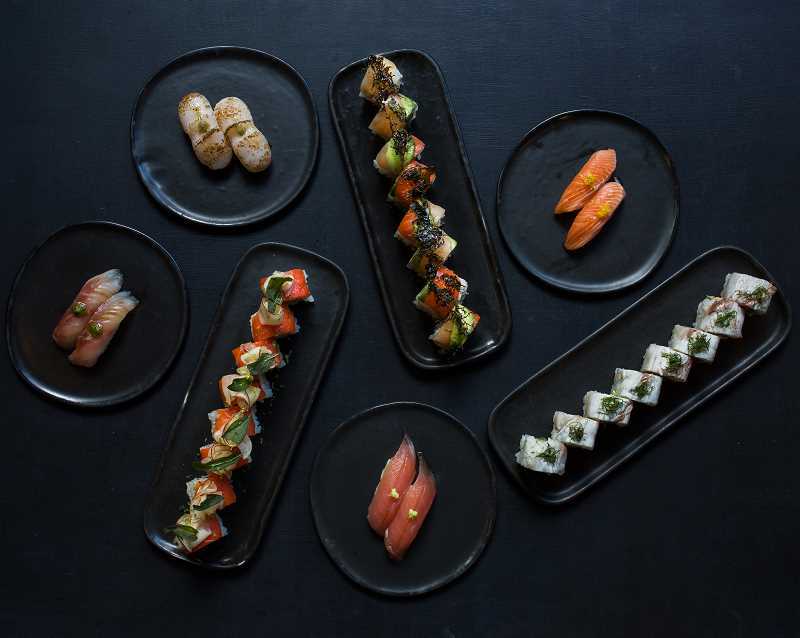 Founded in 2008 by Kristofor Lofgren, Bamboo Sushi is the world's first certified sustainable sushi restaurant — the result of Lofgren's love of sushi and deep-felt commitment to environmental and social change. 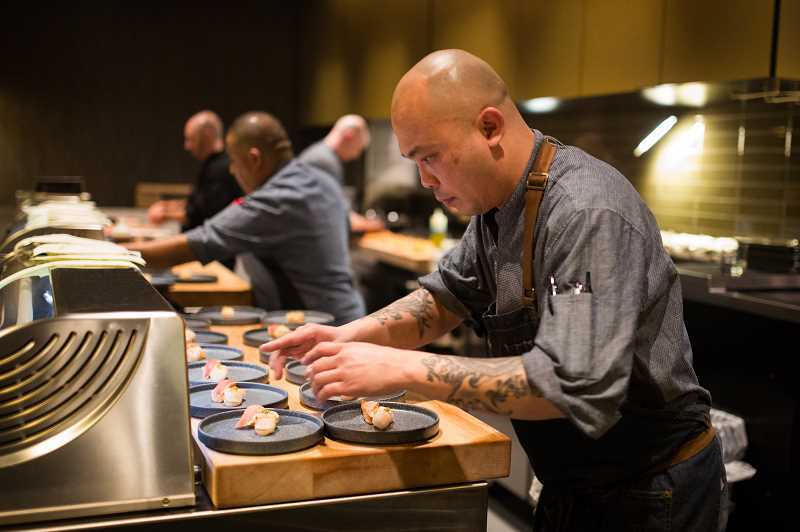 "Ten years ago, we set out to prove that a little sushi restaurant in Portland, Oregon, could do what others hadn't yet tried — building a restaurant with an unwavering and transparent s commitment to serving 100 percent of its seafood from sustainable sources," Lofgren said. "In the 10 years since, that idea has grown into a larger mission that goes well beyond the walls of our restaurants. Together, every day, we have an opportunity to make decisions that have a profound impact on this Earth and our communities." Lofgren graduated with honors from the University of California, Berkeley in 2006 with a bachelor's degree in Political Science and American Studies. He initially thought he would become an environmental lawyer, he said, because he saw sustainability as one of the biggest issues of our time. But he was intrigued by the popularity of farm-to-table dining, so he invested in a sushi restaurant instead. And through that experience, he said, he learned a great deal about what he viewed as wrong with the restaurant industry. Lofgren bought out his partners and set out on a mission to "build the most innovative and creative group in America, the Sustainable Restaurant Group (SRG)," which is the parent company of both Bamboo Sushi and QuickFish Poke Bar. 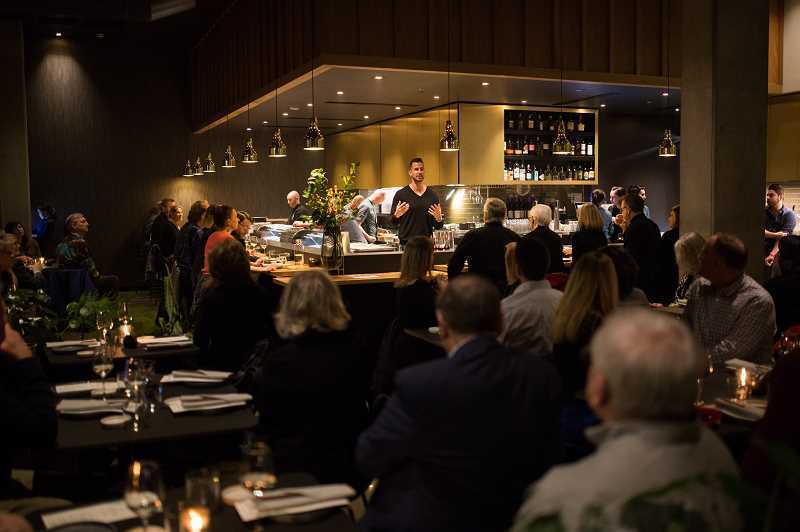 It's goal: to focus on providing "conscious hospitality," which Lofgren describes as making "mindful business decisions that connect environmental impact, the prosperity of our team members and purveyors, as well as the enrichment of the communities we live in." • Partners: Working with like-minded businesses and organizations that share their values, hold them to higher standards, and inspire them to constantly improve. "Kristofer saw how much could go wrong (from overfishing to poor workplace conditions)," said Cory Schisler, Bamboo Sushi's creative director, who told The Review this week that the company works to understand how its practices impact other businesses. "Even down to our paper products and the plates — we research the impact," he said. "We have found uniforms with lower carbon footprints and order our plates from the U.S. rather than Europe to reduce the carbon footprint. We are carbon-neutral and know the carbon footprint of every item on the menu." The menu is very similar to Bamboo Sushi's Portland restaurants, with favorites like the Green Machine Roll (tempura-fried long bean and green onion, topped with avocado and cilantro sweet chile aioli; eight pieces for $11). But Lofgren has crafted some new additions, like Foraged Seaweeds from the Mendocino Coast in California (served with salted cucumber, ikura and sanbaizu with smoked dulse salt; $11). As with all Bamboo Sushi locations, there will be a strong focus on Japanese-inspired shared plates and a gluten-free Yakumi selection that features carefully selected toppings on traditional nigiri that are designed to showcase of the flavor and quality of the fish. Plenty of vegan and vegetarian items are found across the menu as well. And here's a cool touch: Diners can learn where the foods are sourced each day via a real-time view of Bamboo Sushi's sustainable supply chain, found online at bamboosushi.com. "We served 500,000 people in Portland last year, making us the largest restaurant in Portland. But we are excited to venture out of Portland and share what we do," Lofgren told diners at Monday's soft opening. "I thank my team for making it possible, and the community for supporting us." That support, he said, has been strong since the company announced its expansion plans last year. "Lake Oswego has been the most excited community about our opening," Lofgren said. "We received emails every week asking when we would open. 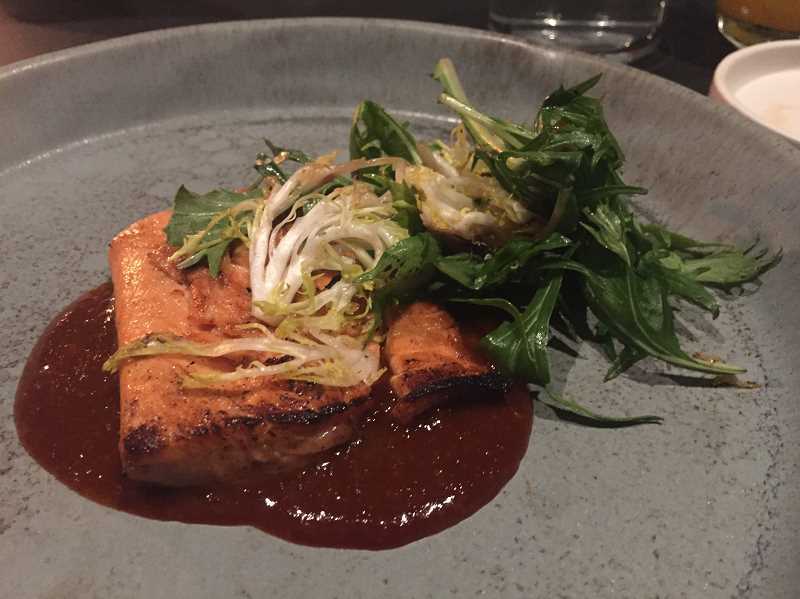 We are so excited to bring our cuisine to Lake Oswego." Bamboo Sushi is located at 380 First St. in Lake Oswego. Hours are 5-10 p.m. nightly, with Happy Hour from 5-6 p.m. Monday through Friday. Reservations are available, but walk-ins are welcome. Learn more online at www.bamboosushi.com. Hours: Open for dinner from 5-10 p.m. daily; Happy Hour from 5-6 p.m. Monday through Friday. Reservations are not required by highly recommended. Learn more: Visit www.bamboosushi.com or call 503-387-6565.